A very warm welcome to subhashchatterji.com! The blog was born on August 2014, with a certain purpose in mind, soon over the course of time (and it was pretty soon) I realised it was not offering anything new, different or creative. The internet was already flooded with millions of pages and so I decided to change gears. I am sure many of us have been through this. I re-invented the blog and my mindset and decided to share small post and photographs (as it’s my passion to click). I am not good at fiction writing or creative writing though I can write small prose or posts. On a regular basis I try to share the “Flower of the Day” photograph with some thoughts spun around it. I gained a lot of experience as I progressed with the help from fellow bloggers and forums. Sharing what you are best at. Interacting with others and respect for all. Participate in challenges and create a lot of friends. It is through blogging that I discovered some very nice, informative and creative blogs and got in touch with some wonderful people across the world. I am thankful to Cee who helped me a lot in my initial days, resolving my queries and giving advice, suggestions and guidance and still I get some mentoring done. Overall my outlook towards life is – to live simple, stick to morals and basics, provide good values to everyone, look for opportunities for helping others, uplifting people(trying my bit by small contributions), enjoying life and don’t be fussy. I am married since the last 9 years (with my wife and job 🙂 ) and juggling well. My wife is a homemaker and she hold’s a professional degree in Indian classical music. it’s a great feeling when she starts humming and then I join her which in turn is followed by my daughter, it’s magical! She takes very good care of us and manages the daily chores with a smile, I am indebted to her for everything good in my life. She also takes keen interest in my blogging and photography and gives me suggestion time and often. Overall she is a fantastic cook, loves experimenting her recipes on me, a wonderful singer, lovable wife and a caring mother of two..
Pearl also helps me out in my photography and is very enthusiastic, she also love to be my model and is very patient when I am playing along with my camera. I have handed over my Sony point and shoot camera to her, she has already developed a sharp eye, she took the below photograph on our visit to Manali – a hill station in North India. Blogging and Photography is something which I am passionate about and try to spend some time from my schedule regularly to learn something new. Besides photography I love to listen to music – from the likes of Beatles, Bon Jovi, Def Lepard, Pink Floyd, Richard Marx and so on and so forth – basically hard rock/metal and some good country music –Johnny Cash, Sir Cliff Richard, Kenny Rogers to name a few. 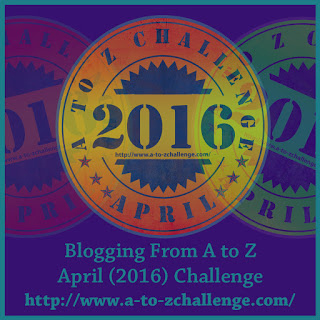 I also posted about my passion for music in the April A to Z challenge 2016. Also love to hear Indian vocal and classical songs besides the ones Bollywood has to offer. A big THANKS from the bottom of my heart for taking out your time and reading my posts. 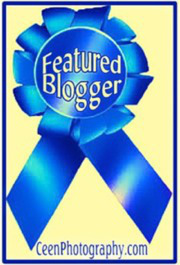 It is the love, passion and interaction of you all that keeps this blog ticking. Thanks for dropping by, you are always welcome. Hi Subhash, I have just nominated you for the Seven Day Nature Photo Challenge. I hope you get a chance to participate. Thanks for stopping by.Will stay connected. Very nice Blog Subash, I have just found it and I am already following it. Good eye for the pictures! Greetings from Argentina! Thanks Roberto, glad you liked it and found my pics interesting. I had also checked your blog, however I had to translate but some lovely pics, will stay in touch, thanks for stopping by& pleasure connecting with you. Interesting! Good to know about you, Subhash. Thank you for following. Thanks Parul , you have an interesting blog and happy to connect with you. Nice Pictures, Subhash! Thank you for your visit and liking my post on tiny. Thanks a lot dear and I am impressed with your blog too… Will visit in and check more for sure, take care and have a good day. What a super fantastic About Page. Once I have read or viewed a few pages on a blog, I often hop directly to the About Page. I’m really glad I did today. You have mastered the art of writing an interesting one. I feel like I have a clear image of you, your family, and what you are getting and giving to our world. Very refreshing read. Thanks for sticking to blogging. You are doing what you enjoy with flair, and creativity. You capture beauty the way you see it. Now…that’s original. Couldn’t are more! Thank you following my blog. Stay in touch! Thanks a lot, I will check this our for sure.